(Registered Charity No. 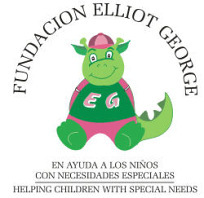 C.I.F.G-92556224) This Andalusian Foundation, provides activity centers for children with chronic disabilities, where the children are stimulated thought sport, swimming, physiotherapy and music, and dance. They and their parents can have the belief that through these centers everyone can enjoy a quality of life with fully trained staff to help them throughout the day and night. For many children and parents it is a life changing situation, but most importantly it gives hope to children who in many cases changed the way they are for ever.